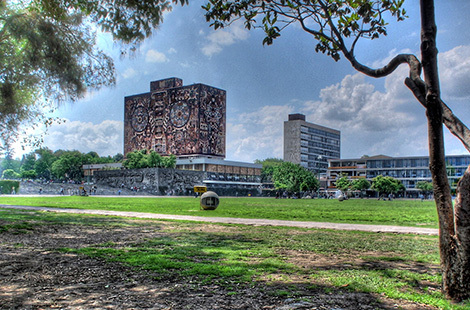 Officials from CSUN and the Universidad Nacional Autónoma de México, one of the oldest and highest-ranked academic institutions in Latin America, have signed an agreement to partner in the creation of a Los Angeles-based center that will focus on scholarship and research on Mexico and Latin America. Read more about the partnership. CSUN joined CSU campuses from throughout the state at Super Sunday, an annual event where campus leaders visit predominately African-American churches to boost college enrollment. Read more about Super Sunday. The Valley Performing Arts Center recently announced plans to expand its programming aimed at children and families to include shows like “Jim Henson’s Sid the Science Kid: Live!” Read more about VPAC’s family fun. Thu., March 6, 9:15 a.m. Thu., March 6, 7 p.m.
Join a faculty panel discussion of this year’s Freshman Common Reading book, “Garbology: Our Dirty Love Affair with Trash” and learn how you can be part of the solution. Valera, a member of CSUN’s Foundation Board, will share his deep connection to CSUN and illustrate how any employee can make a difference in their current position, helping to advance the University mission. Submit your thoughts and creative ideas on how CSUN can achieve its institutional commitment to being a leader in sustainability.